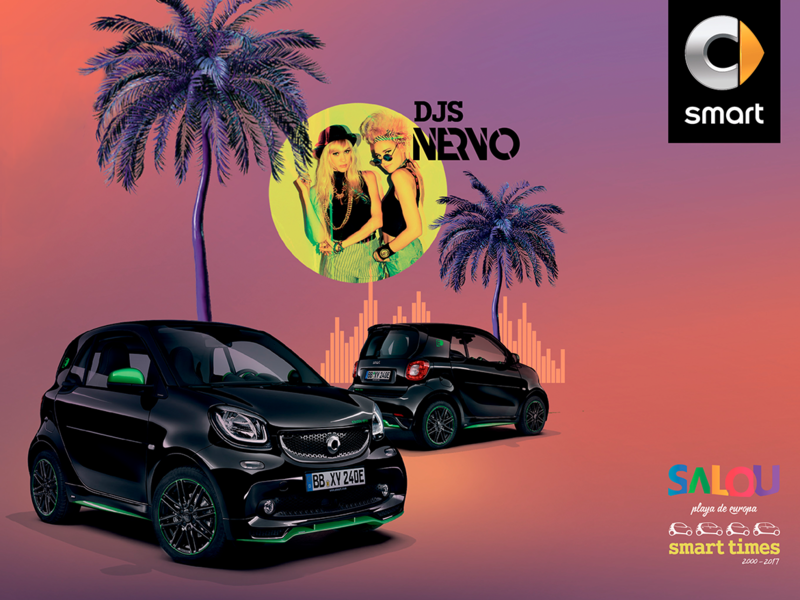 Salou will become the capital city of Smart cars between 14 and 17 June with the celebration of the Smart Times Salou. Enthusiasts of the Mercedes-Benz brand and petrol heads in general are welcome to attend the largest Smart cars meeting in the world, with over 1.500 cars, along Passeig Jaume I. 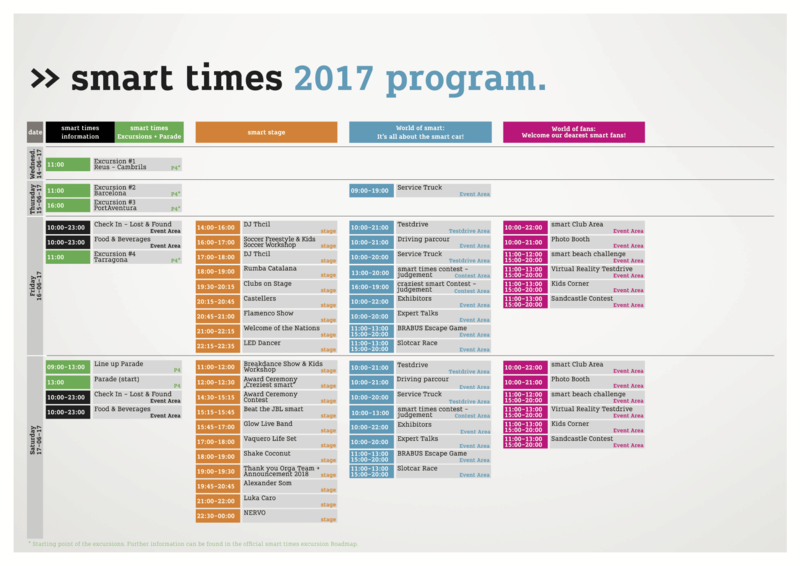 This is the very first time the Smart Times event takes place in Salou and Spain. 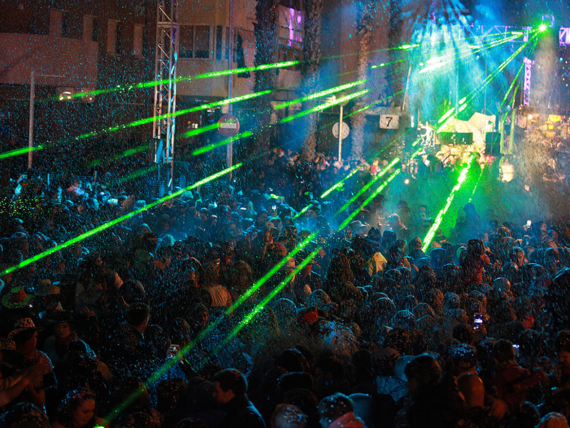 Among the various activities that will take place during Smart Times, 2 really stand out: on the one hand, the traditional Smart cars’ meeting and parade (on Friday 16 June, from 10am to 10pm), a spectacular event surround by the beauty of Passeig Jaume I, a truly privileged scenery; on the other hand, the live performance (on Saturday 17 June, at 10.30pm) of Nervo, 2 world-class Australian DJ’s that have collaborated with David Guetta, The Pussycat Dolls and Kylie Minogue, among many others. Besides, Smart enthusiasts will have a unique opportunity to experiment and actually drive the brand new range of electric cars, one the surprises of the event. Among other models, you’ll get to try the only convertible in the world with an electric engine, while driving under the sun of Salou, listen to the waves and fall in love with the Mediterranean aroma. 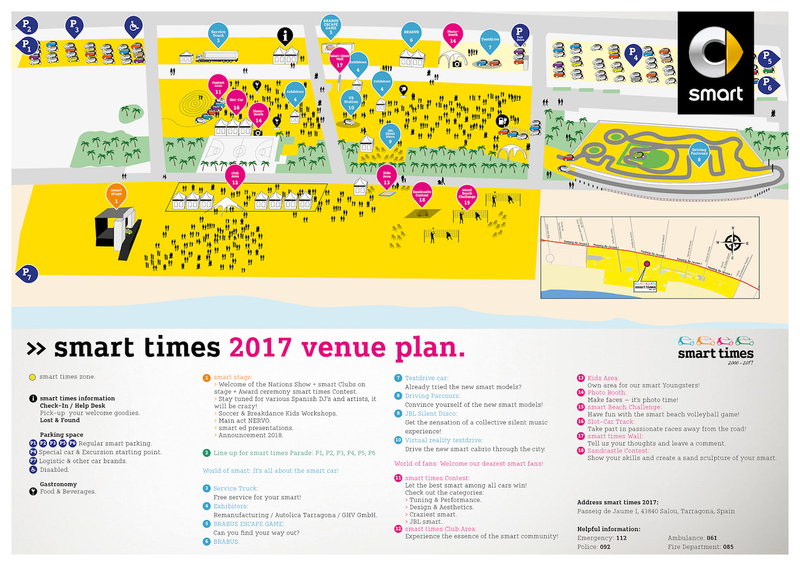 Smart Times Salou will also offer paella –with a Welcome Pack if you register online–, tours, a street food festival, a Smart cars’ showing, a slot-car track, “castells” (human towers) and many other activities for an incredible weekend in the capital city of Costa Daurada. You see? 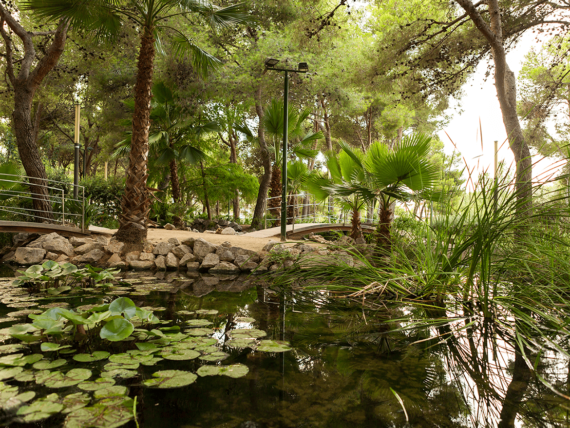 The Smart Times Salou programme is packed with activities for the whole family!